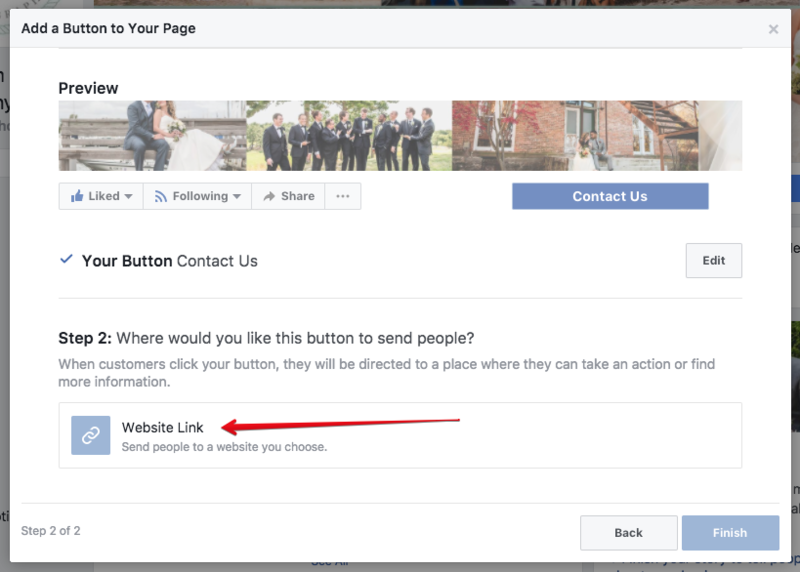 Do you hate getting Facebook messages on your business page with informal price requests and you'd rather only hear from those who are really interested in your services? Me too! 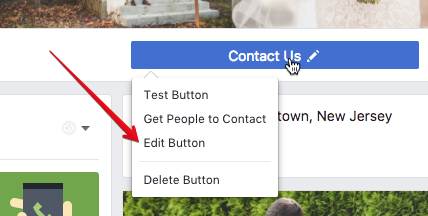 You may already know that you can disable messages altogether on your Facebook business profile, but there's a better option if you still get a lot of traffic on your Facebook page using Facebook's Call to Action option. On the next screen that pops up, you can choose which phrase you'd like the button to use. On mine, I have it set to Contact Us as you can see above. 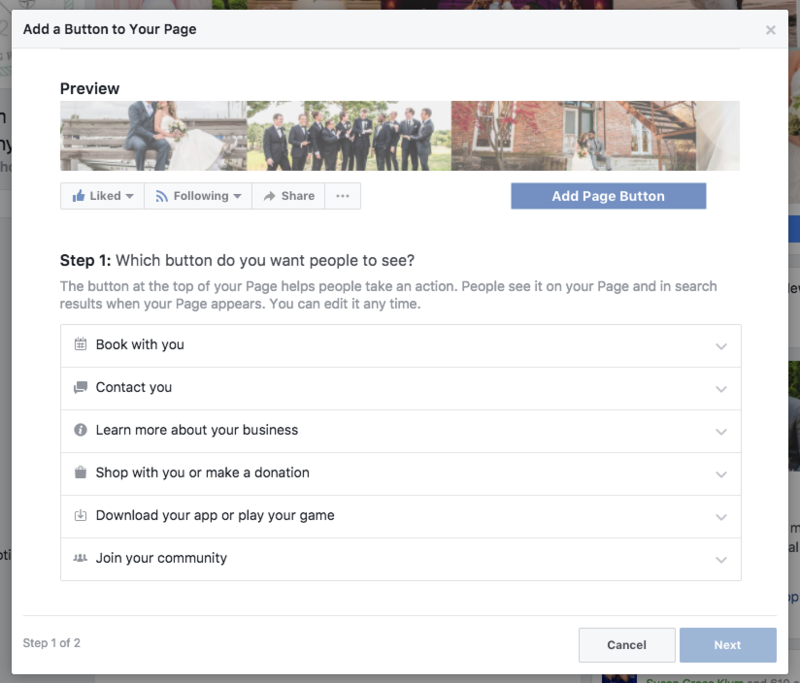 From there, you'll enter the page you'd like to direct them to. This can be the direct link to one of your Táve contact forms, the exact page on your website where your contact form is embedded, or anywhere else you'd like to take them!